Very rarely is there a book published that is completely original and groundbreaking. 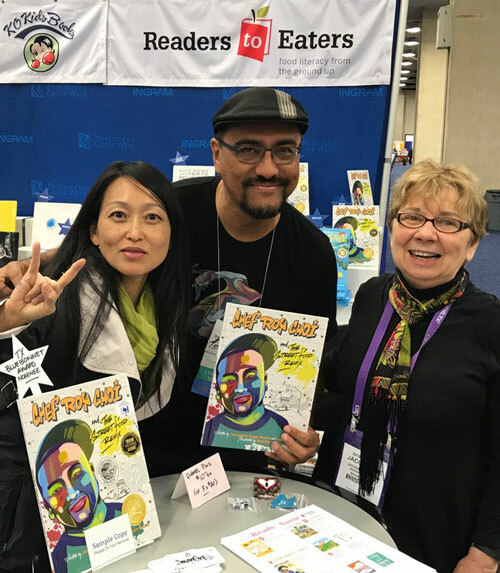 But Chef Roy Choi and the Street Food Remix (Readers to Eaters, 2017) completely breaks the mold when it comes to non-fiction, biographical picture books. It is diverse yet inclusive. It is about a living person. It is written in an authentic voice styled with hip hop rhyme and meter. 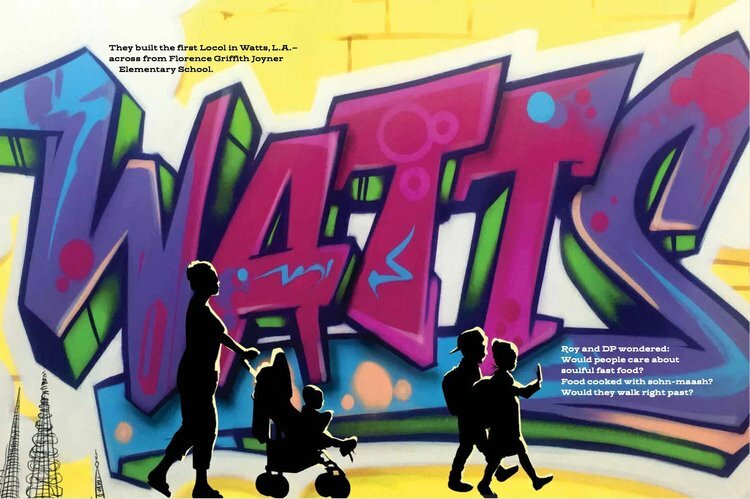 And it features illustrations by a world-renowned graffiti artist. It is no wonder that so many readers have provided rave reviews and awards committees have bestowed honor upon honor. Here, the authors and illustrator share information about and insights into their processes and the final product—a book that both kids and committees love. Chef Roy Choi and the Street Food Remix is revolutionary in that it combines elements not seen much, if at all, in other titles. There is race and culture, street rhyme, and graffiti all combined in a biography of a living person deeply passionate about food. Your book has received rave reviews from professionals, educators, boards, and students. Did you expect this extent of positive feedback? Author Jackie Briggs Martin (JBM): We always hope that others will “get” what we try to do with a book. But I’ve never “expected” rave reviews. That way heartbreak lies. Author June Jo Lee (JJL): Jackie, Man One, and I created this book from our hearts for kids who might find themselves in Roy’s story. The reviews told us adults, too, may have found themselves. 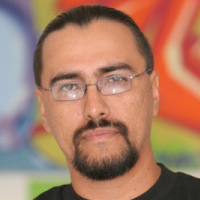 Illustrator Man One (MO): It’s a story about the American dream that many immigrant parents sacrificed so much for. It shows that with hard work and passion for what you love, you can be successful and make a difference. I love the message so much, I wanted my illustrations to match the energy and tempo of the story. I think it’s just very fun. What is it about Chef Roy’s story that you think people of all ages and backgrounds connect with? 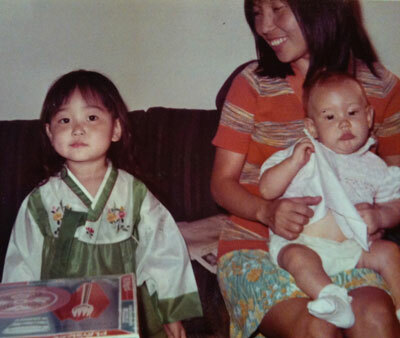 JBM: Roy Choi struggled to figure out where he belonged. We all, at times, have wondered where we belong, where we fit. Roy Choi had some setbacks. No matter our age we have experienced setbacks. But he didn’t give up and eventually has become a success and a wonderful model for kids and the rest of us. 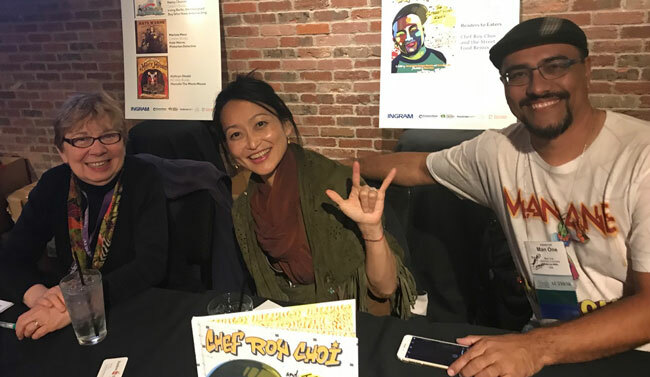 JJL: In the creative process between Jackie, Man One, and me, and our editors, we ended up with three popular culture elements, what I am calling “shiny things that get kids’ attention:” Food Trucks, Graffiti Art, and Ramen. We are happy that our message—expand your world by sharing your home foods, friends’ foods, and street foods together, rather than limiting your world by trying to fit in—resonated with everyone. We believe food is fundamental to life, to our identities, and to our shared culture. Everyone can participate in food culture because everyone eats. How did you all come together to create Chef Roy Choi and the Street Food Remix? Were you acquainted prior to the project? JBM: June and I were acquainted before we started this project. And as soon as I knew about the Roy Choi book, I knew I wanted to co-write with June. JJL: I knew Jackie through her previous “Living Food Hero” biography series published by Readers to Eaters. Readers to Eaters Publisher Philip Lee—who is also my husband—and I suggested the idea to Jackie. Jackie invited me to co-write the story, and this book was my big break! 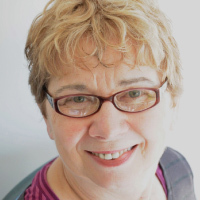 She is a masterful writer and awesome writing coach. I was introduced to Man One through a friend in Geneva who catches early signal trends for the fragrance and flavor industry. My friend takes his clients on Graffiti walks to catch the feelings and messages bubbling up from people around the world. Man One led these walks in LA. Philip and I thought it would be awesome to pair street food with street art. Also, we wanted to work with an artist from LA. Big bonus was that Man One knew Roy and collaborated with Roy’s Kogi food truck. MO: I was not even aware of Readers to Eaters at all before this. It was a very welcomed surprise to be called to illustrate this book. As soon as I found out that the story was about Roy Choi, I immediately wanted in. I first met Roy around ’09. He’s a great guy with a great vision. I’m happy this story demonstrated those positive aspects, and if I could visually add to the story through my illustrations, even better! Did you have any in-person meetings or was it all remote communication? JBM: We worked by phone and in person. We worked on the early drafts by phone and email. By the time we were closing in on a final draft, we actually met in LA, ate at a number of Roy Choi’s restaurants, and worked on the manuscript. 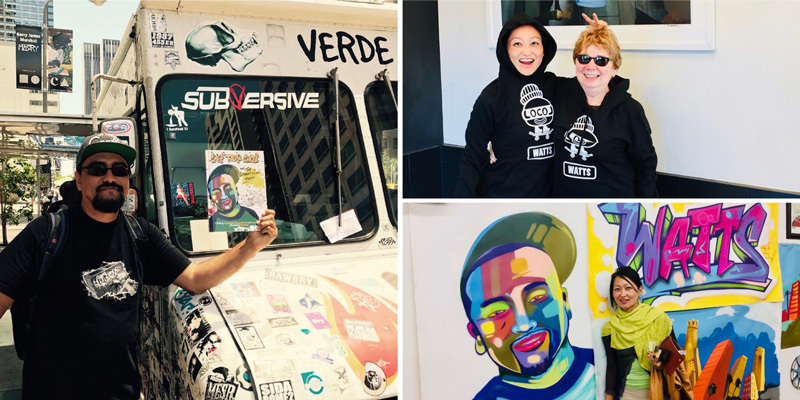 JJL: Eating our way through Chef Roy’s food trucks and cheerful food spots in LA was the highlight of our collaboration. MO: Other than a few visits from the publisher, Philip Lee, all other communications was by phone and email. I didn’t meet June in person until the LAPL launch, and I finally met Jackie at TLA this year! The text in Chef Roy Choi and the Street Food Remix is vibrant and rhythmic, and it breaks the rules of conventional writing. Why did you choose to write in this style, and was it challenging for you? JBM: This style seemed just right for a story about a man who loved hip hop and who lived in LA. It’s not the style of Snowflake Bentley (HMH Books for Young Readers, 1998), a quiet Vermont farmer, born in the 19th century. Every book has its own voice. Every book also presents its own challenges. The language was fun and just seemed to grow out of the story. The challenge for me with this book was knowing what to leave in of Roy’s life and what we could cut so the pacing would be right. JJL: I heard a radio interview with Roy who talked about his favorite hip hop songs—2Pac’s “I Get Around,” NWA’s “Dope Man,” Run-DMC’s “It’s Like That,” and Public Enemy’s “Rebel Without a Pause.” These rhythms paced Jackie’s and my street rhymes. Get the newly released Chef Roy Choi and the Street Food Remix audiobook today! How was the co-writing process? What were each of your contributions? JBM: The co-writing process evolved as we worked on the book. There were many drafts. Sometimes I would send a draft to June. She would make comments and suggestions and send a revised draft to me. So in the end, we both did a lot of writing and re-writing. This was totally a collaborative process. JJL: Jackie and I seamlessly collaborated together from the research phase to the writing and re-writing until we created a cohesive narrative arc that was greater than our individual contributions. Jackie found the through line of our story—the streets—which is my favorite element in the book. I found the meta modern expression of “remix” of foods, flavors, people, histories, cultures, ideas, and futures. Since this book was the third in our “Living Food Heroes” biography series, Jackie had already established a flow and structure to the series that we wanted to maintain. She is also a great technician in finding just the right kid imagery, rhymes, and repetitions to translate complex food and culture ideas into fun snippets. As a food ethnographer, I certainly contributed the deep food culture themes in the book, such as the growing diversity of flavors, food access, and justice. I also contributed the feeling, tastes, sounds, and smells of a Korean kitchen and immigrant experience. Together Jackie and I worked out ways to talk about food access and food justice in an inviting and not divisive way. Together, we re-wrote (and re-wrote!) every line in the text over the year and half collaboration. Sometimes we would “fight” for a word or expression. Sometimes we naturally found the same places that needed trimming or spicing up. My favorite time during our collaboration was towards the end, when Jackie and I sipped rosé from second-hand water goblets, sitting poolside in the late afternoon at Roy’s Commissary Restaurant on the second floor of the Line Hotel in K Town, LA. And, together, we line-edited our near-to-final draft, adding in the sun-soaked textures and tastes we had collected that day from visiting Roy’s cheerful food spots. The artwork in this book is so layered, vivid, and complex. Did you find it challenging, Man One, to tell a story across pages instead of in just one image? MO: This was my first picture book and very different to my normal type of work. Although I have created many illustrations in my career, most of that work is to create a singular image—not really to tell a full story. It was very challenging for me since I had to come up with a new approach to tackle such a big project. Most of my work takes a few days or a couple of weeks at the most to complete, but this project took roughly half a year! There was a lot of learning on the job happening. 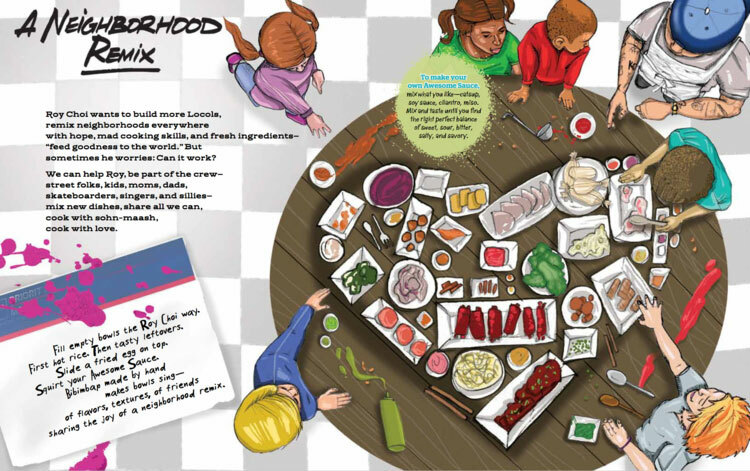 How do you hope kids and grownups will share this book about Chef Roy Choi? JBM: First, I hope they will read it together and talk about it. How did Roy feel when no one at his school looked like him or ate the foods he ate? How did he feel when he lost his chef’s job? How did he feel when he saw the long lines at the Kogi trucks? Or at Locol on the day it opened? Then I hope they will try Roy Choi’s recipe for ramen. I hope they will experiment and make their own awesome sauce and then make bibimbop. 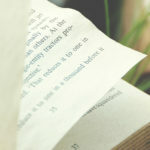 What can readers look forward to seeing from you soon? JBM: June and I are working on another food hero story, which we are very excited about. And I have a fiction picture book coming out next year about ducks, clever ducks, called Bim, Bam, Bop…and Oona published by the University of Minnesota Press. JJL: This was my first title, and Jackie and I are cooking up our next collaboration for the “Living Food Hero” series. I am also researching for an ethnography of modern Korean food culture. MO: I’m ready to tackle my next book. Maybe I’ll even write my own story next time! We’ll see. Jacqueline Briggs Martin is a well-known author with an extensive list of titles, including Caldecott Medal winner Snowflake Bentley. As a child, she never thought of being a writer—she actually wanted to be a marriage counselor. She holds a Bachelor of Arts Degree and a Master’s Degree in child development. 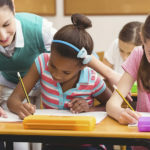 Martin has edited spelling textbooks, taught preschool, and took freelance writing jobs prior to writing full time. 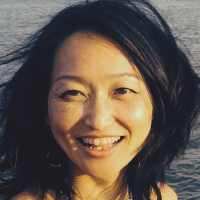 June Jo Lee is a food ethnographer, author, and publisher. She studied food anthropology at Harvard Graduate School of the Arts and Sciences. She is married to Phillip Lee, co-founder and publisher of Lee & Low Books. Together they founded Readers to Eaters in 2009 with a mission to promote food literacy from the ground up. “Food Literacy is simply knowing what / why / how we eat. It’s about being awakened to our daily food choices and understanding where our food comes from and all the trade-offs made to get the food in front of us. It’s about understanding the nested nature of our food systems and the global-to-local food economies that are being resourced or not. Food literacy means listening to how your body feels after you eat and in the long-term. It means cooking, growing, fermenting some of the foods you eat when you can, and not just being a ‘consumer’ all the time. It means talking about what you are tasting: comparing flavors and textures, acknowledging the producers and processors, critiquing the cook, creating a food memory with your friends and family. Man One is a graffiti art pioneer known as much for his bold, colorful work as for his philanthropy. He found his calling early in life and then honed his talents at Loyola Marymount University where he earned his Bachelor’s Degree in Fine Arts. Man One’s art has received numerous accolades and has garnered an elite list of collectors worldwide. 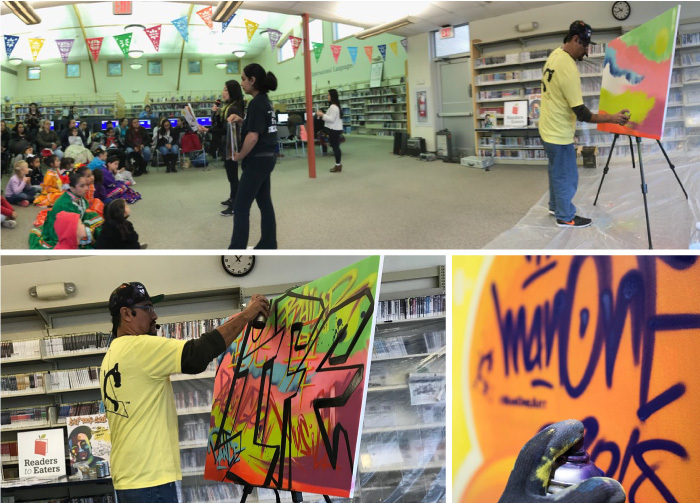 In addition to creating his own work, he strives to provide other graffiti artists with opportunities to learn, grow, and display their creativity.